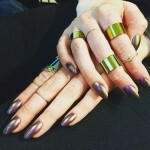 Hanna Beth Merjos’ gorgeous metallic green nails are paired with small sparkling green gems. 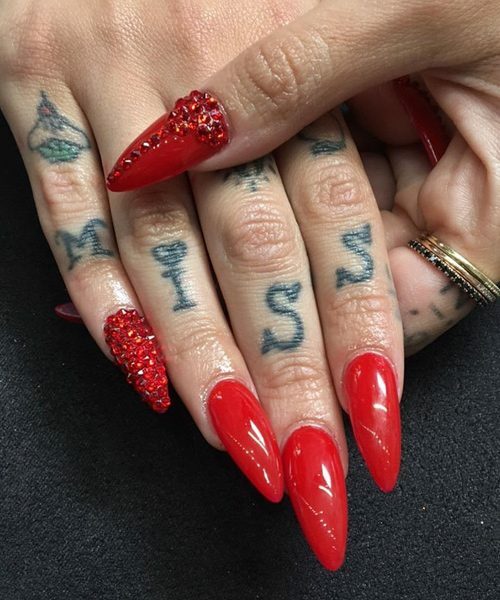 Hanna Beth Merjos red stiletto nails with red sparkling studs looks amazing and it is incredibly feminine. 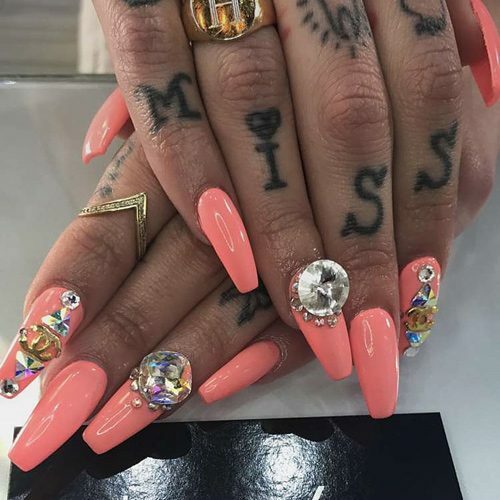 Hanna Beth Merjos has sparkling white long nails with stones and jewels ornaments. 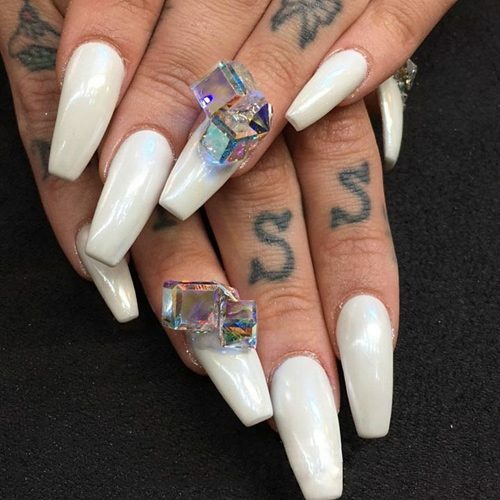 Hanna Beth Merjos wears white long, coffin-shaped nails with clear squared crystals ornaments. 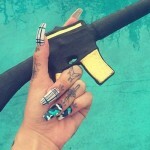 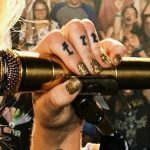 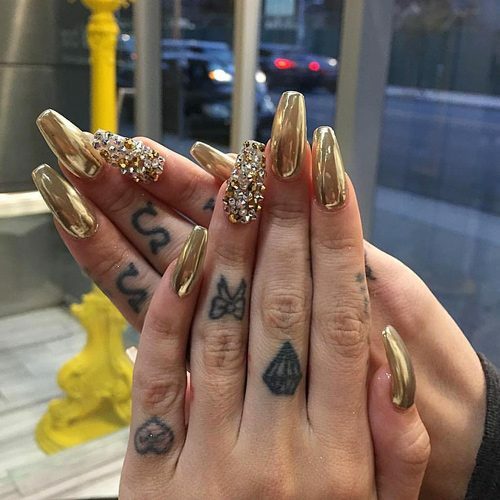 Hanna Beth Merjos long nails were covered in metallic gold lacquer and golden studs with crystal stones ornaments. 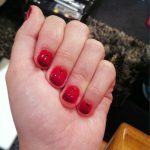 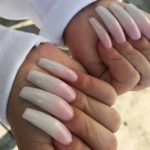 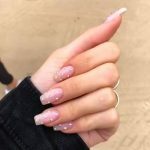 Hanna Beth Merjos’ manicure is a work of art: the red nails polish is strong and feminine and the clear crystal decorated nails bring and extra sparkle to her hands. 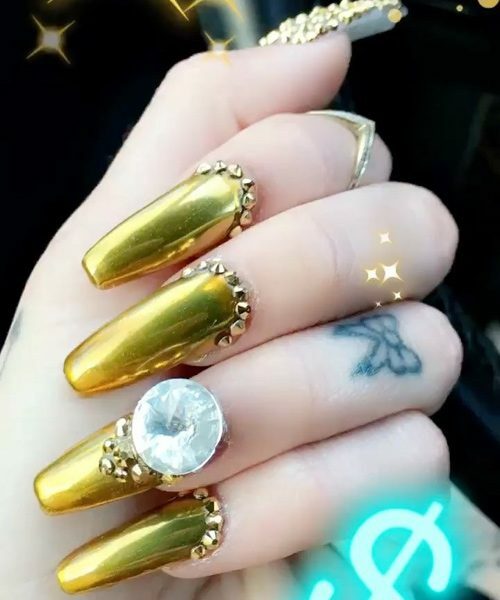 Hanna Beth Merjos’ luxurious gold manicure has metallic studs accents to enhance her look even more. 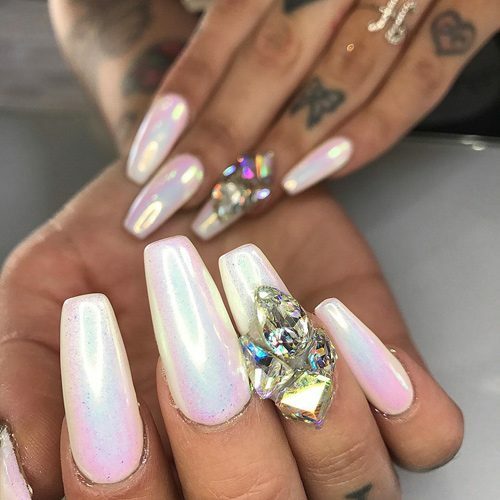 Hanna Beth Merjos got a new manicure in light gray and light pink polish and a little shimmer ✨ thanks to LA Nail Artist ruby at the Glam Beverly Hills salon. 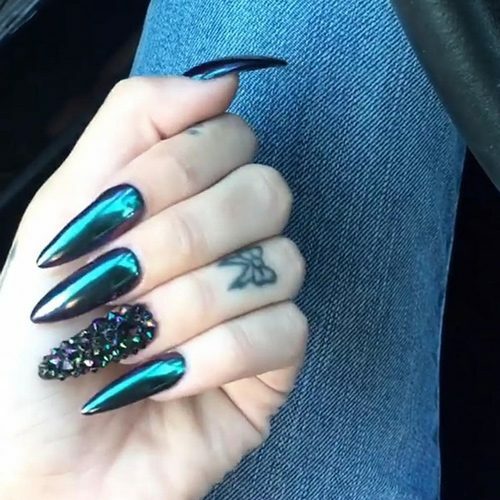 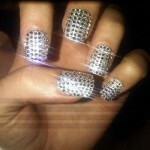 Hanna Beth Merjos got her blue matte with white detailing and crystals manicure done at GLAM Beverly Hills Salon.